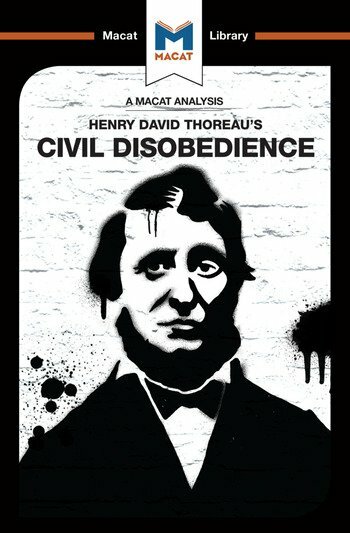 In Civil Disobedience, Henry David Thoreau looks at old issues in new ways, asking: is there ever a time when individuals should actively oppose their government and its justice system? After a thorough review of the evidence, Thoreau comes to the conclusion that opposition is legitimate whenever government actions or institutions are unacceptable to an individual’s conscience. What is particularly interesting is that Thoreau’s creative mind took him deeper into the argument, as he concluded that this legitimate opposition really wasn’t enough. In Thoreau’s opinion, anyone who believed something to be wrong had a duty to resist it actively. These ideas were completely at odds with the prevailing opinions of the day – that it was the duty of every citizen to support the state. Thoreau connected ideas and notions in a novel manner and went against the tide, generating new hypotheses so that people could see matters in a new light. It is a mark of the success of his creative thinking that his views are now considered mainstream, and that his arguments are still deployed in defence of the principle of civil disobedience. Mano Toth is researching for a PhD in poltics at the University of Cambridge. Dr Jason Xidias has held positions at King’s College London and the University of California, Berkeley.